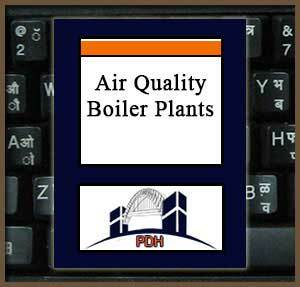 This publication provides an introduction to air quality control and monitoring equipment for fuel fired plants such as steam boiler plants. Included are discussions of chemical, cooling and sump pumps, nitrogen and carbon dioxide systems, ash handling, boiler feed and condensate pumps, and air quality control and monitoring systems. Learn about laboratory testing requirements. This course is intended for mechanical, civil and environmental engineers and other design and construction professionals wanting an introduction to power plant air quality and auxiliary equipment. This course will give environmental, mechanical and civil engineers and other design and construction professionals an introduction to power plant air quality equipment and auxiliary equipment. This is an introduction to methods for design and operation of boiler plant auxiliary equipment. This course will give you technical guidance you can apply when designing boiler plant auxiliary and air quality equipment and systems.